Staying together deserves a celebration too! When nearly 50% of marriages end in divorce, committed couples that survive the trials and tribulations of a partnership deserve a heartfelt celebration. 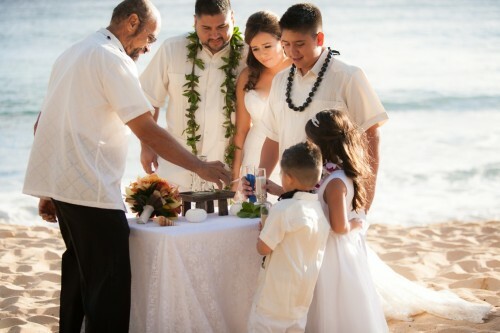 When it comes to renewing your vows or celebrating an anniversary, choose the romantic Hawaiian island, Kauai. 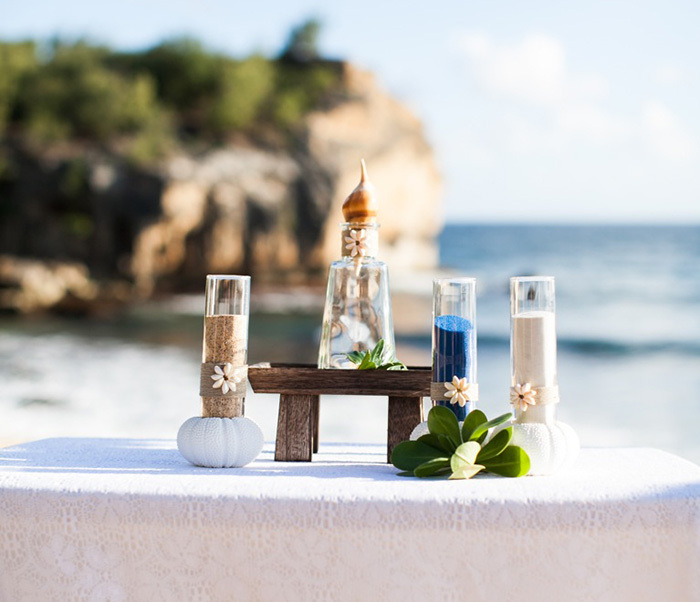 Renew your wedding vows in a quaint Hawaiian church, on the beach, in a pretty tropical garden, on a cliff, on the ocean, anywhere that has sentimental meaning for both of you – with those who have enriched your lives over the years: Your children. Your closest family. Your dearest friends. Your children will fondly remember the day they all “got married” by standing as witnesses and taking turns in the family sand blending ceremony. It could be the wedding you never had.